We had the pleasure to meet Sergio Gaddi at the Picasso & Miro’ Exhibition @ The Annex, Burj Khalifa, started March 7th-May 31st 2016. 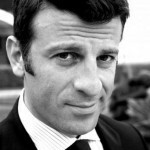 Sergio Gaddi is a curator and consultant for cultural projects around the world from Rome to Paris, Seoul and Tel Aviv. From 2004 to 2012 he organized and curated major exhibitions at Villa Olmo in Como, Italy which featured Miro, Picasso, Magritte, The Impressionists, Symbolists and the avant-garde, Klimt and Schiele, Chagall, Kandinsky and Malevich, Rubens and Flemish, Boldini and The Brueghel Dynasty. He is also responsible for the project “Tales of the Art” for Arthemisia Group, Rome. He is a graduate of Bocconi University in Milan, where he has been Head of Culture of the town of Como for the past 10 years. He has curated exhibitions of contemporary art and has published many essays, articles and catalogues. As a freelance journalist he holds conferences and meetings and he is dealing with popularization of art and culture. – Welcome in Dubai. Which is the deep meaning behind the exhibition? The exhibition title evokes the key points to understand the perspectives, which involve the personalities, experiences, suggestions and mysteries of two of the most extraordinary artists of the twentieth century. The Dubai narrative path crosses figures and themes, which characterized the graphic experience of Pablo Picasso and Joan Mirò, linked with a fil rouge which intertwined their lives. The exhibition is not just a journey that tells a dialectic relationship between history and contemporaneity, but also a dialogue between the signs of tradition lived and interpreted by the artists, and the energies, which ignited their creativity. 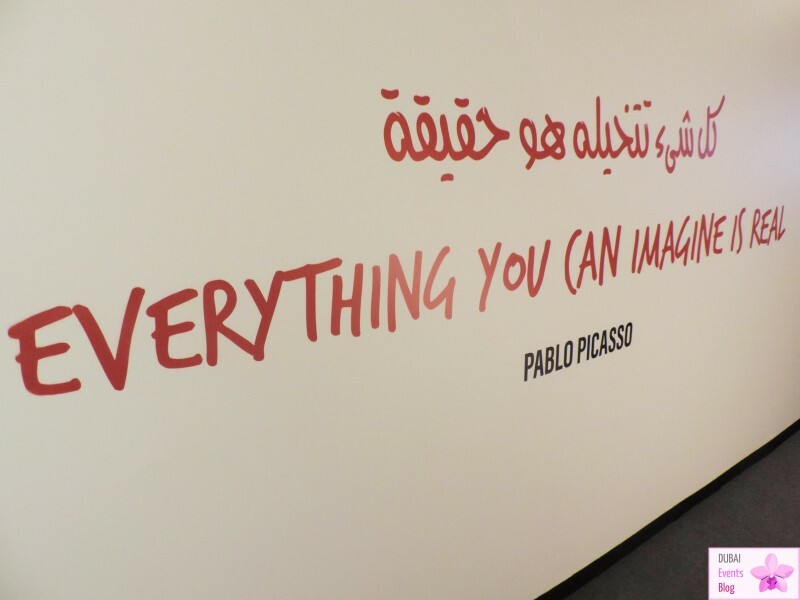 – Why did you choose Picasso & Miro’ together? Picasso & Miro’ are two of the greatest artists of all time. “We must kill modern art. It means, that we must kill ourselves if we want to go on accomplishing anything”. This sentence by Picasso, written at the peak of the success of Cubist painting, explains not only the apprehension which has always characterized his life, but also the meaning of the return to classical figurative modules when, with a sudden trend reversal which surprises the public and the critics of that period, he arrives at a new language through a scrupulous and almost sacred assimilation of the traditional rules of representation. 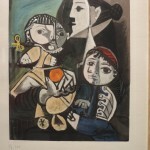 Picasso’s life demonstrates that the artist can express himself in every way by mastering any technique, and had an unreachable virtuosity which let him do everything, be figurative and then monumental, cubist and then classical, delicate and primitive at the same time. At the same time, he also proposed himself as a modern demiurgic divinity, pushed to the search of ever-innovative formal solutions to prevent the threat of repetition and stylistic stereotype. This characteristic is identical, and in many ways overlaps, the experience of the years of Mirò’s full maturity. Pablo Picasso and Joan Miró, with their similarities and differences, are pure and genial artists, with a passionate and poetical life, moved by a single purpose: simply, making art. Also, the meeting with ceramics for the great interpreter of modernism is full of passion, and it is also the rediscovery of shape, namely of the significance it converts in the result of the object, obtained by including and following the peculiarities of the matter which is being used. – What’s the fil rouge between the Passion and the Poetry? Passion is the key to Pablo Picasso’s tireless energy. It was this that transported his own life into the spaces of the mythological and the legendary. Picasso was the initiator of a revolutionary conception of art, discovering and designing new forms that distorted the very essence of modern art. Joan Miro’ ‘s poetry speaks a language that knows no limits of time and space and becomes the song and tension of the soul that filters reality into pure idea. And just in this way, Picasso’s passion intertwines with Miró’s poetical mark, which in its mature phase, overcomes the shape and boundaries of painting representation to reach the direct dialogue without filters to the public. Even if at first glance it may seem paradoxical, Miró’s graph elements and marks, although they do not correspond to a realistic character, come from the reality. The work surface circumscribes its simplicity to highlight its power; a power which comes from the artist’s skill to use the gesture, the trait, to knock at the door of emotions. 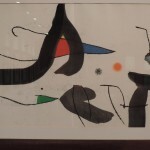 For this reason, Miró’s work can be compared to poetry: indeed his marks go beyond the visual perception. A strong link between Picasso and Miró can be read in the dynamics of a tireless passion, which contaminates and infects like a wave in their variegated world and transports their lives in the spaces of mythology and legend. – The exhibition has created an artistic relationship between the UAE and Italy: do you think that in the next future it will become more strong? Sure, I was glad to collaborate with Alpha Soul, a company based in Dubai for the organization of the exhibition. The future relationship between the two countries, will become stronger also in view of new projects for Expo2020. We can advice you to visit the exhibition and “Feeling the Art”……….